Plot Synopsis: Fueled by cheap whiskey and greed, Willie Soke (BILLY BOB THORNTON) teams up once again with his angry sidekick, Marcus (TONY COX), to knock off a Chicago charity, on Christmas Eve no less, run by curvaceous Diane (CHRISTINA HENDRICKS). But the arrival of Willie’s horror story of a mother, Sunny (KATHY BATES), and “the kid” – Thurman Merman (BRETT KELLY) – may upset their plan. 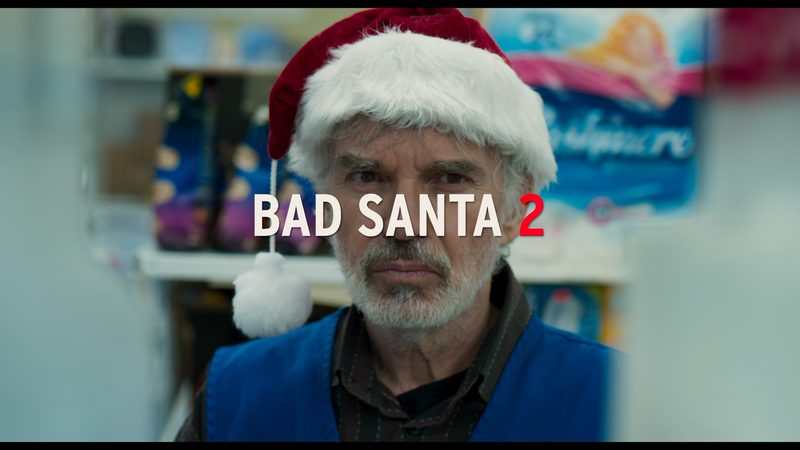 Quick Hit Review: Bad Santa 2 is yet another needless sequel released over a decade later (reminds me of Sin City: A Dame to Kill For) and worse yet, outside of a couple of jokes, doesn’t provide many laughs even if technically it’s in keeping, or the spirit if you will, of the original. Billy Bob Thornton and Brett Kelly at least had funny moments so it’s not a complete waste of time, but I have no desire to revisit this again. No slip cover included but inside is a Digital HD copy. Thurman: Then & Now (2:27; HD) looks back at the son from 2003 and now. Just Your Average Red Band Featurette (2:00; HD) is a short EPK-like behind-the-scenes featurette. It is very average. “That’s My Willie” Original Animated Series (3:51; HD) is a collection of “memorable” moments between Thurman and Willie. Jingle Balls (0:35; HD) – The classic Christmas song set to curse words. Deleted Scenes (2:41; HD) – Here we get some scenes that didn’t make it into the final cut. Also included is a Gag Reel (3:59; HD) and an Alternate Opening (1:00; HD) and Alternate Ending (2:49; HD). 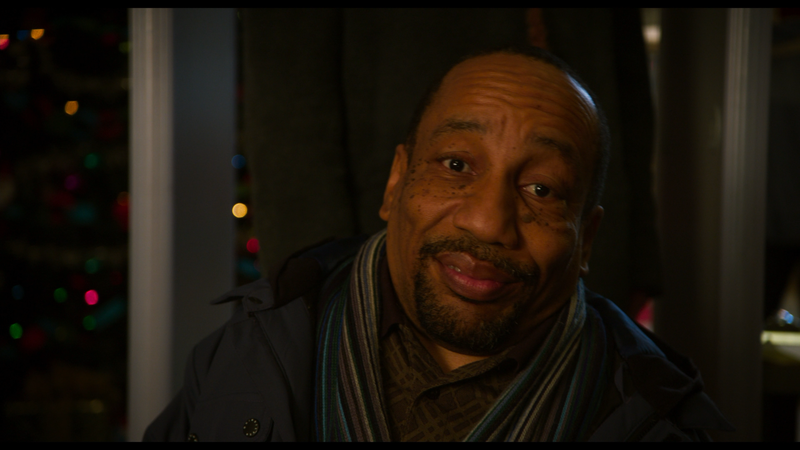 Bad Santa 2 arrives on 4K UHD presented with a 1.85 widescreen aspect ratio and a 2160p ultra-high definition transfer (HEVC/H.265 codec). No surprise, even with its dark tone, the picture is quite bright throughout and detail looks sharp, however, I couldn’t detect a significant difference between this and the included Blu-ray copy. No doubt, it is a tad sharper and colors somewhat brighter, I’m unsure whether it’s worth the upgrade and given the film’s lackluster box office, kind of surprising it got the 4K treatment. Still, for anyone on board with the new format, might be worth adding to your collection if the cost isn’t considerable. Both the UHD and Blu-ray discs come with the standard DTS-HD Master Audio 5.1 track which, for a comedy, is satisfactory as the majority of the film is heavy in dialogue coming through the front channel while the front and rears are generally relegated for the score or ambient noises. Overall, there really was no need for a Bad Santa 2 as the original has become a holiday cult classic and it has been 13 years since. Sure, it does have the mean streak that made the first popular, unfortunately the humor mostly falls flat. This 4K UHD release, a Best Buy Exclusive at the time of this review, offers good video/audio transfers and an okay selection of bonus features.